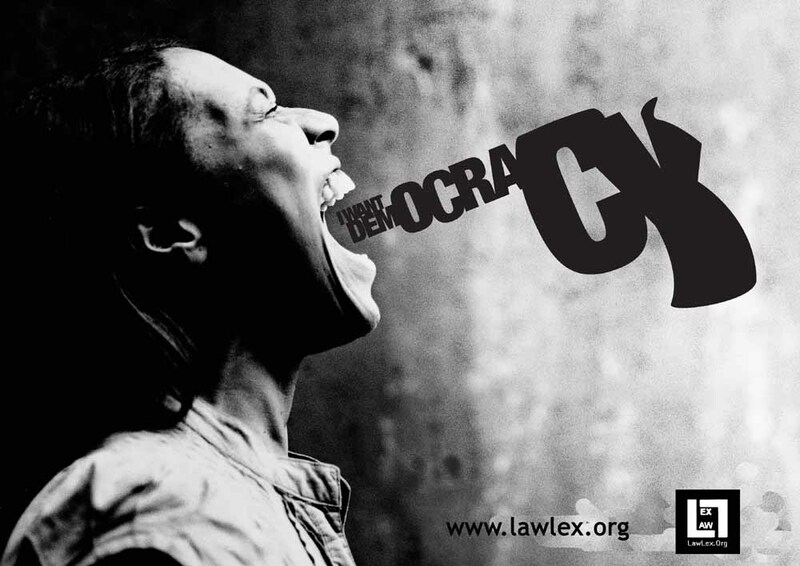 You are at:Home»Lex Pedia»Lex Articles»What is Democracy for me? What is Democracy for me? What does Democracy actually mean to us? Aquestion which is raised by many, answered by several many and still debated upon by all the other many. What does Democracy actually mean to us? To a common person like me? What does an individual having a little knowledge about politics, constitution or any other heavy term like this expect out of the people in power? What do they actually aspire for when they get up early in the morning? Well, to all these people, one thing which actually matters is to lead a happy and peaceful life where there is no violation of their basic fundamental rights. A life which is carried out with dignity and pride. And where they can express what they actually feel like. My idea of Democracy is somehow related to that of Liberal Democracy. A democracy where the authority of people is taken into account. It is also known as Liberal or Representative Democracy. My idea is basically to take into account and even consider the thought of every individual so that not even a single individual is left out, so that his/her voice can be heard, so that he/she can consider himself/herself as a part of the nation, so that he/she can achieve whatever he/she aspired for at some point of time. In my idea of democracy, every person shall elect a common representative just like in Liberal Democracy through consensus and without any discrimination. Be it a man or a woman, a black or a white, a gay or a straight, his/her right to elect a representative for him/her is one o the right which is entirely not ignorable. The representative after getting elected by the people should debate and deliberate on further policies and ideas which will benefit not only the larger good of the society but every other individual who are actually having a say in it. The elections, the entire policy of voting and choosing someone to represent the entire population should be free, fair and just. So, in my head, the idea of Liberal Democracy satisfies the entire concept of what I think the face of Democracy should be like. We can provide various positive points of the Liberal Democracy and various negative point for other type of Democracies which makes Liberal/ Indirect/ Representative Form of Democracy the most suitable and desirable form of Democracy. “Democracy is the worst form of government, except for all those other forms that have been tried from time to time”.It is physically impossible to have every decision decided at the ballot, and it is perfectly natural when the people elect their representatives who are more skilled in politics and public administration than they are. If we see the idea of Direct Democracy from the point of view of practicality and self-interest, it seems baseless. People are not even able to talk about matters involving politics effectively even. Another problem is the ignorance of common people. In a representative democracy, you choose people who you hope will follow politics and act in your best interests. In a direct democracy, each citizen has to follow politics and make up their own mind on every issue. This sort of system would be wide open to manipulation by the media. Also, you’d have some people who would vote without understanding the issues fully, because pressures of life haven’t left them enough time to study political issues well enough to decide them, yet they still feel a patriotic duty to cast a vote. The welfare of the society would be sidelined for the needs of the individual. The average individual voter would put his or her needs before those of society as a whole. This self-interest is perfectly natural, but if a law that benefits a smaller group does not benefit a larger group (for example, the protection of minority interests) then that law is not likely to be passed. The procedure followed in Direct Democracy is a tedious and cumbersome process as it involves every individual to come forward and vote and decide upon the issue. In a country like India where population is huge, it is not only tedious but also next to impossible which is even tried requires a lot of time and that also in the end might really turn the way a person wants. In democracies like Industrial Democracy, a particular group of people who are on top are only given the preferences instead of the entire community which includes non-working members as well. Again, if we take the example of Industrial Democracies, too much power is given to people and these people at all point of time do not really have time to come and sit and gather for a procedure like this. Secondly, individual aspect and minority rights are ignored in a democracy like this. The people belonging to a certain group are only heard of. The people are suppressed in democracy like this. Whereas in a Liberal Democracy, the representative is neither a worker nor a boss. He can actually take the matter in a much unbiased sense. The biggest disadvantage of direct democracy is the potential for tyranny of the majority. This is the idea that, in a democracy, the majority can make whatever laws they like, regardless of whether these laws are fair to everyone. There is a danger of deadlock due to clash of interests in a Direct Democracy.Also, Danger of apathy and disinterest among participants and the Unwillingness to take responsibility by the people proves to be fatal for the entire nation. Now if we see the entire thing broadly, we saw that Representative Democracy gives us a choice to elect representatives for us who have knowledge and judgement in the specific fields. Representatives who are educated on a specific matter will be able to give advice on their constituency and what goes on there. Moreover, these representatives allow decisions to be made by people who are not emotionally invested in issues. This kind of democracy can give a new shape to the demands of people into actual policies which make better sense. Parliament and government collate the demands of people and create practical solutions. Also, issues that involve such conflicting interests require complex resolutions. In a direct democracy, situations are resolved with a yes/no, but representative democracies mean that we can have more detailed solutions to problems. In other words, over-simplified solutions disappear, and instead we have better solutions to problems. For example, if we were trying to approve a new budget in a direct democracy, the number of different budget ideas would mean that no decision will be made, as we only have yes/no answers. After looking at all the point above, I think that Liberal Democracy is clearly having a better impact as well as say in terms of representing the face of democracy. There are a number of visible advantages and it is clearly a much simpler solution. It allows problems to be solved in a better manner be it in precision or accuracy. It stops the tyranny of majority and the entire system is effective many folds. Better in all aspects, I want my form of democracy to be like that of Representative Democracy.